The conventional wine glass has been optimized for taste, viewing, and grace in fine dining. 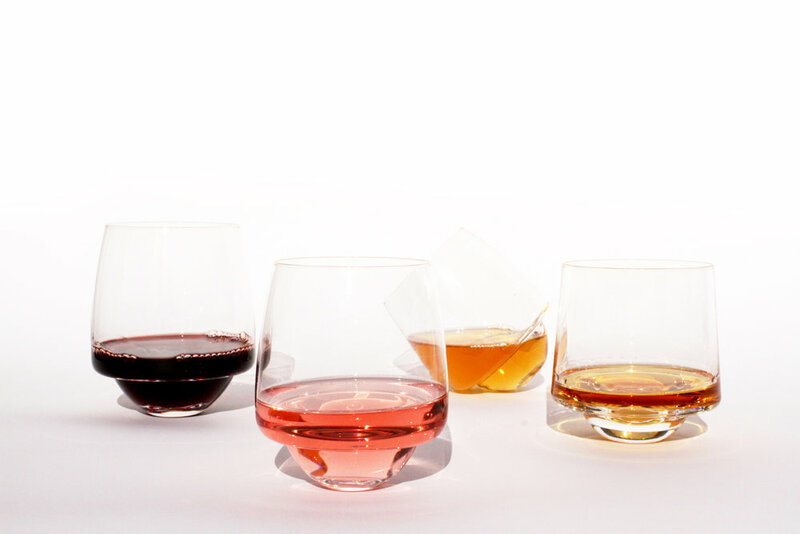 We wanted to redesign it's form and function to fit a more casual, everyday use without sacrificing the quality of material, craftsmanship, and attention to detail that makes great traditional glassware. The result, the Saturn Glass family, is a set of hand-crafted, spill-safe red wine, white wine, and rocks glasses. We took the idea from its conception, through design, prototyping, crowd funding, fabrication, and distribution. 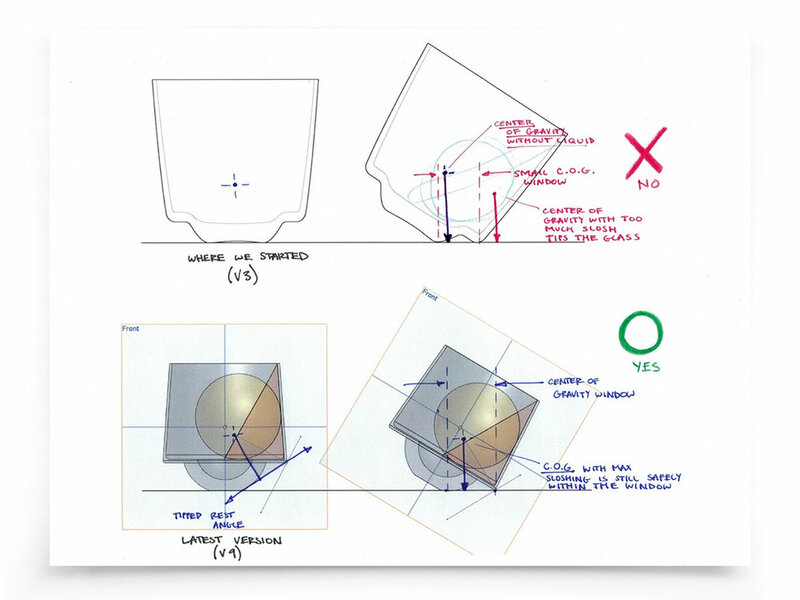 A key part of the design process was a leveraging my background in traditional Italian glassblowing to develop a mold making technique using fins instead of the traditional solid wood or metal mold. This allowed us to prototype glassware quickly and accurately; a process which is normally prohibitively slow and expensive. Later, responding to demand, we applied the original spill-proof wine glass concept to a rocks glass. Because a rocks glass's shape is angular and caused the liquid to slosh, this was more challenging than expected. 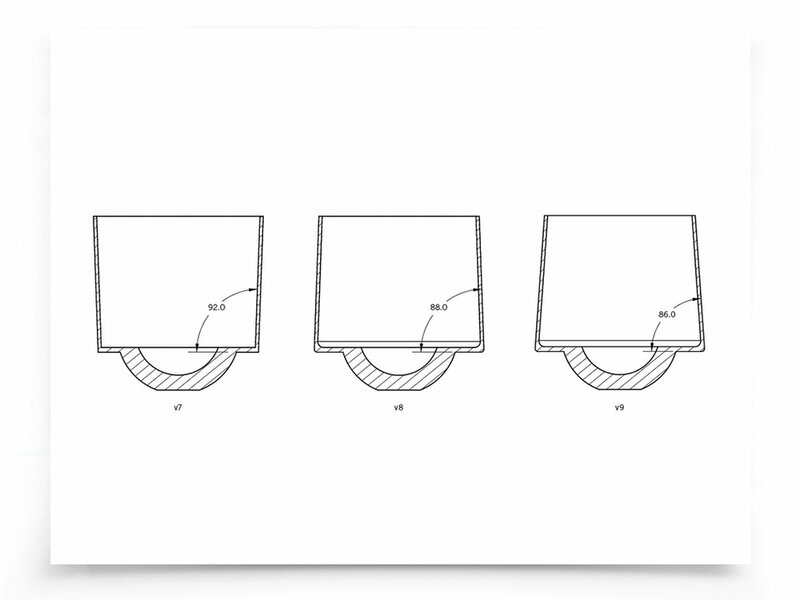 Through closer analysis of the physics behind the wine glass, we learned much more about why the original worked so well and were able to apply those concepts precisely instead of merely imitating a form factor. One main consideration in the design of the Saturn Glasses was introducing the spill proof function while avoiding making it feel like a novelty. The simple geometry makes the form feel contemporary without making it's ability to catch spills explicit. Because it stands upright, this feature quickly fades into the background, but is always there when you really need it, ready to save itself from an over enthusiastic gesture or misplaced elbow. 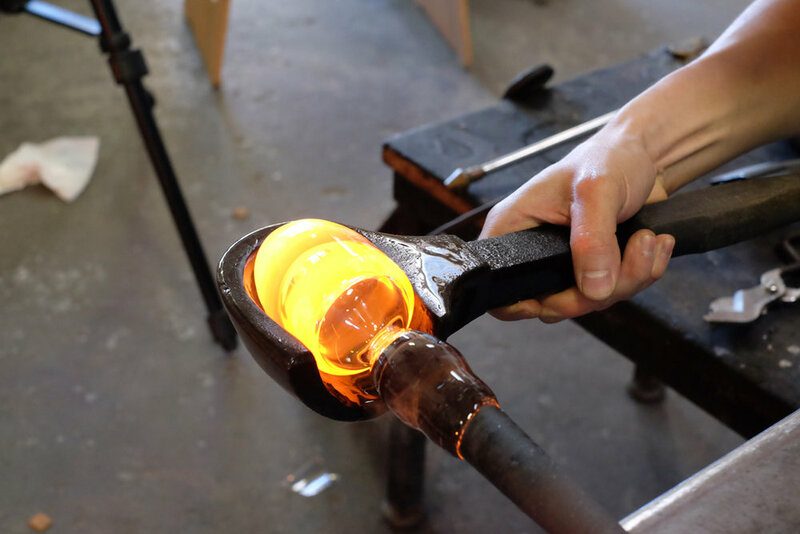 To produce our design, we partnered with Novotny Glass in the Czech Republic who is renowned for their artisan mold blowing technique.